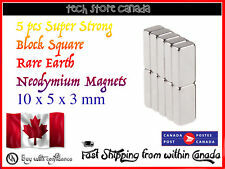 They measure approximately 4x1mm or 1/6"x1/25". 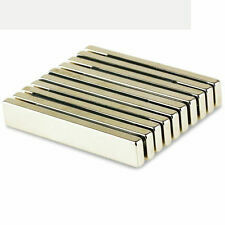 Lot of 100 4x1mm Rare Earth Magnets N35. $1.65 International. These are AWESOME price lots. One tiny magnet easily holds up a standard sheet of paper on my refridgerator! They measure approximately 2x1mm or 1/12"x1/25". 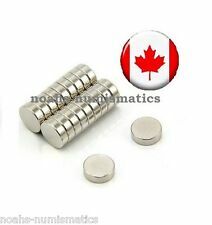 Lot of 100 2x1mm Rare Earth Magnets N35. $1.65 International. These are AWESOME price lots. One tiny magnet easily holds up a standard sheet of paper on my refridgerator! They measure approximately 3x1mm or 1/8"x1/25". 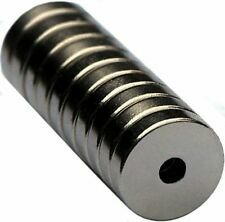 Lot of 100 3x1mm Rare Earth Magnets N35. $1.65 International. I have other quantities and sizes available in my other listings ! 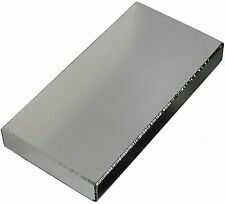 A: Steel thickness :The thinner the steel, the lower the pull force, 300KG vertical magnetic pull force was got on base of20mm thickness steel Plate. 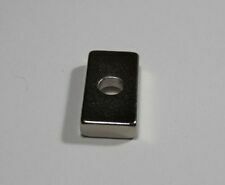 Good Corrosion-resistance and Permanent Property : Ni Cu Ni Triple Layer coating of steel body and its naked magnet which extend the lifespan of fishing magnet, it can used both in fresh water and in marine and other difficult climatic conditions ( temperature less than 80 degrees Celsius ). Grade: N52. 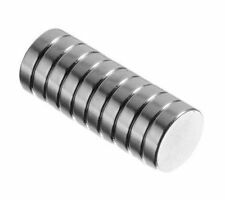 N52 strong Neodymium magnet. 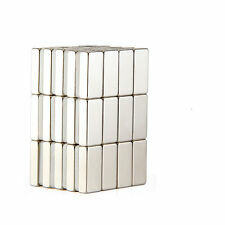 1 x Magnet. Plating: Ni-Cu-Ni (Nickel). Shape: Disc Round. Color: Silver. USA, Canada, United Kingdom, Austrilia, France, Germany, Spain, Ireland, Italy, Others. Grade : N50. Models piling, you can use small magnets to connect two widgets. Shape : Rectangle with centre bore. 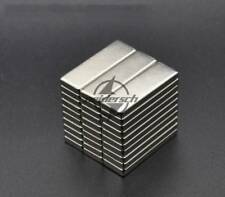 These magnets are very powerful which should be handled with great care.Do not allow children to play with them unsupervised. They measure approximately 3x1mm or 1/8"x1/25". 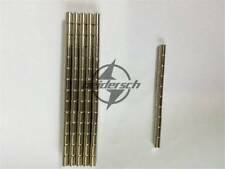 Lot of 25 3x1mm Rare Earth Magnets N35. $1.65 International. I have other quantities and sizes available in my other listings ! 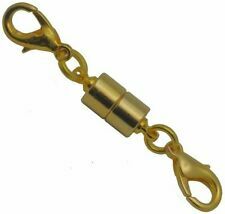 Multi-Use: Unique design with Countersunk Hole and Eyebolt Great for salvaged of various iron-containning nickel material underwater and Good idea for magnet fishing, lifting, hanging, retrieving applications. Product material: rubber soft magnetic strip. 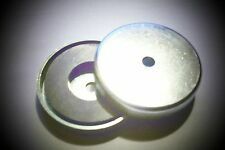 Product Size: 10mm 2mm. Product front: double-sided adhesive on the back. Product features: soft and flexible, can be cut arbitrarily, widely used in teaching. Grade: N52. Product Size: approx. 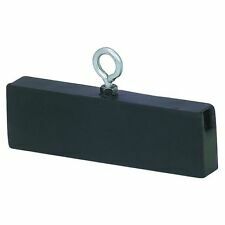 WARNING: This is a seriously powerful magnet and it is totally unsuitable for children! Shape: round with centre bore. Electrical field: VCM, CD / DVD-ROM, generators, motors, servo motors, micro-motors,motors, vibration motors.